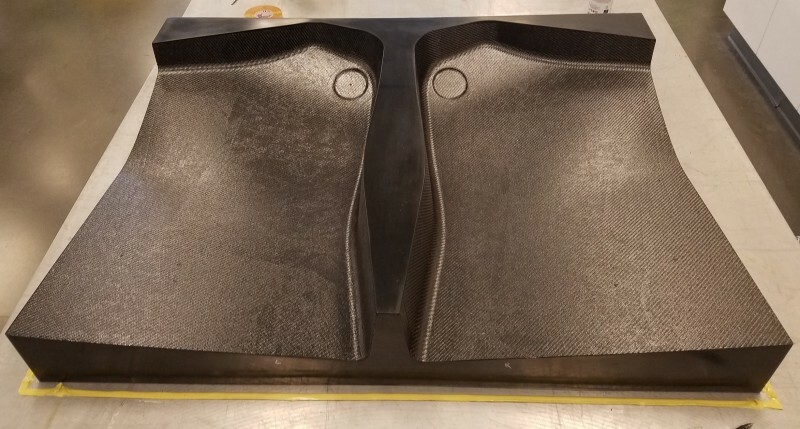 Scion Aviation has completed prototype tooling for the external fuel pods for their upcoming SH-410 and SH-415 Vixen manned/optionally manned helicopter system, using a new state-of-the-art tooling board from Duna-USA, the Black Corintho 800. 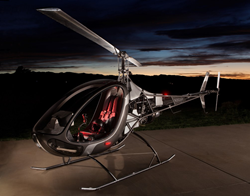 In preparation for upcoming flight tests, Scion needed to create external carbon fuel tanks for the Vixen helicopter line, and maintaining accuracy was key. 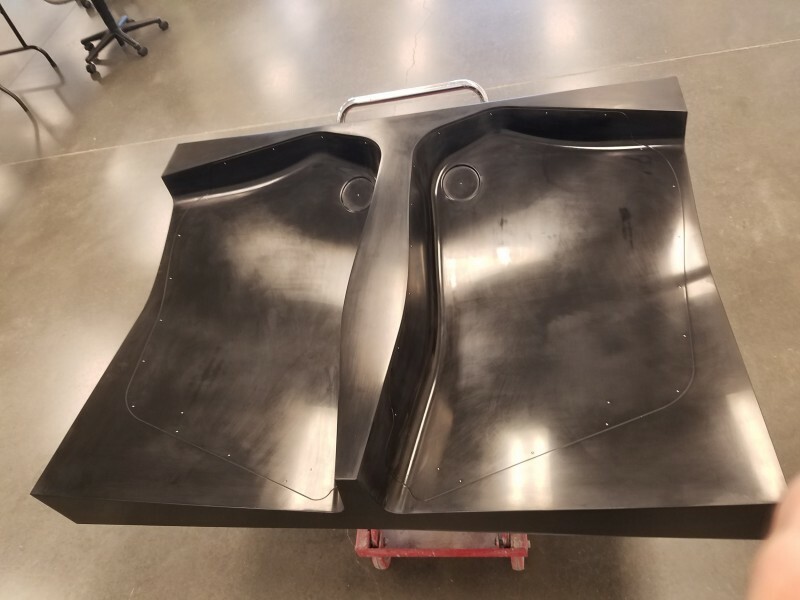 The Black Corintho 800 was utilized in a direct-tool application, and once the boards were bonded, CNC machined, and sealed, Hexcel M35-4 epoxy prepreg was layed up onto the tool, and cured in an autoclave for 16 hours at 50 PSI/180°F. The Black Corintho 800 is a high-temperature tooling board, designed for use up to 400°F, offering low CTE, high dimensional stability, and high thermal conductivity. It is designed to produce prototype, or low-volume tooling, and is part of a high-temperature tooling system developed by the DUNA Group consisting of the Black Corintho series tooling boards, Dunapox Black AD 135 high-temp epoxy adhesive and the Dunapox Black Sea 125 high-temp epoxy sealer.